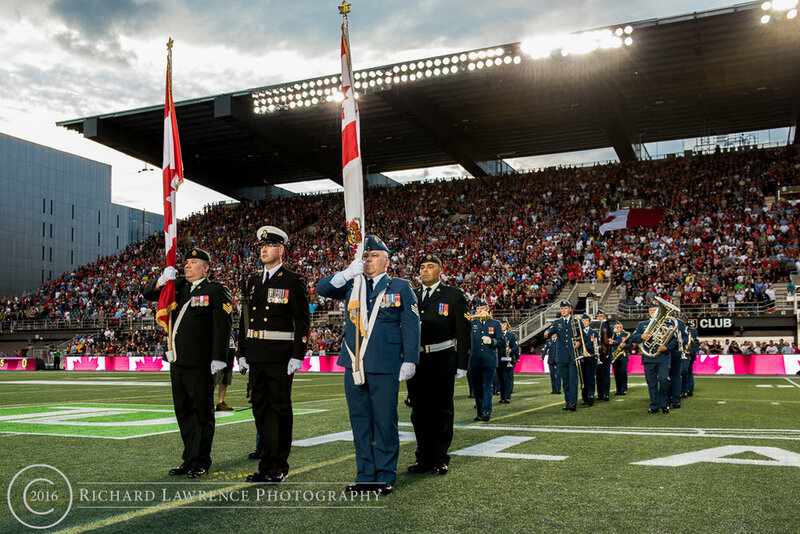 The highlight of last night's football game, featuring the Redblacks against the Lions, was the Canadian Forces Appreciation festivities. 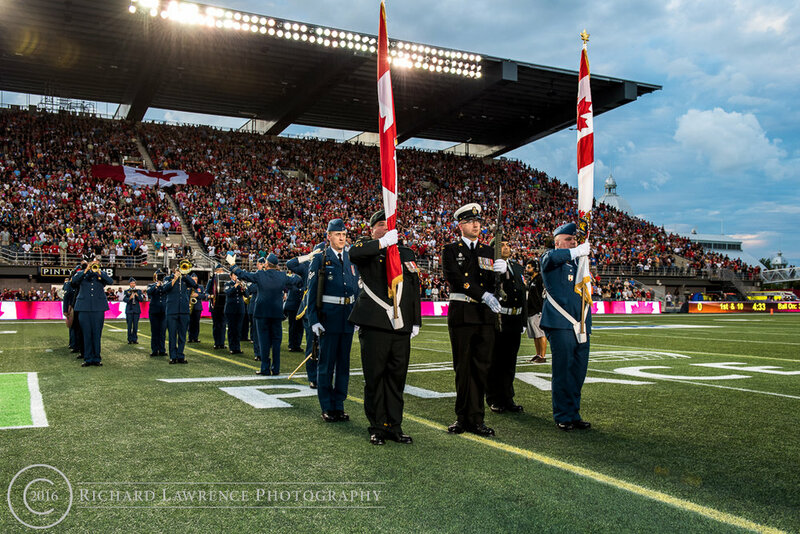 The marching of the flag party and the Central Band of the Canadian Armed Forces made a spectacular pre-game show. 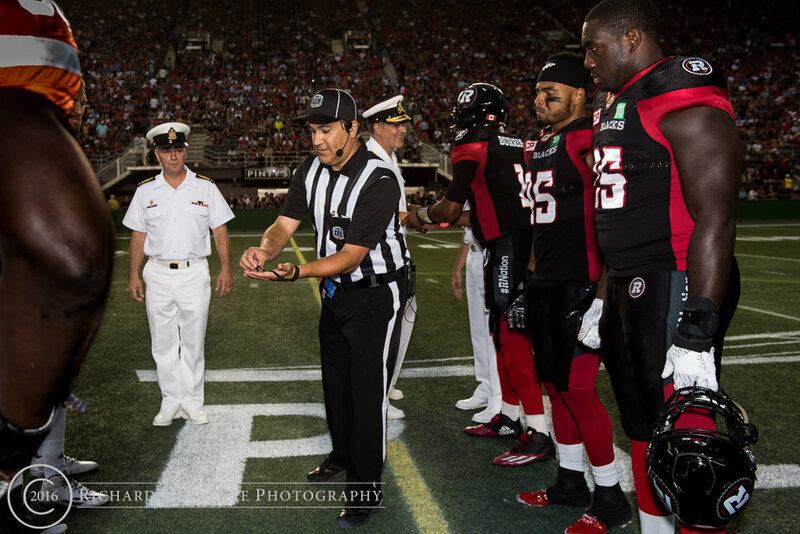 This was followed by the coin toss by Chief Petty Officer Vigneault. Also in attendance with the CPO were Vice-Admiral Ron Llyod, the new Commander of the Royal Canadian Navy and Rear Admiral Coutourier. There were also two fly-bys by 2 CF-18s, low and loud during the beginning of the game. 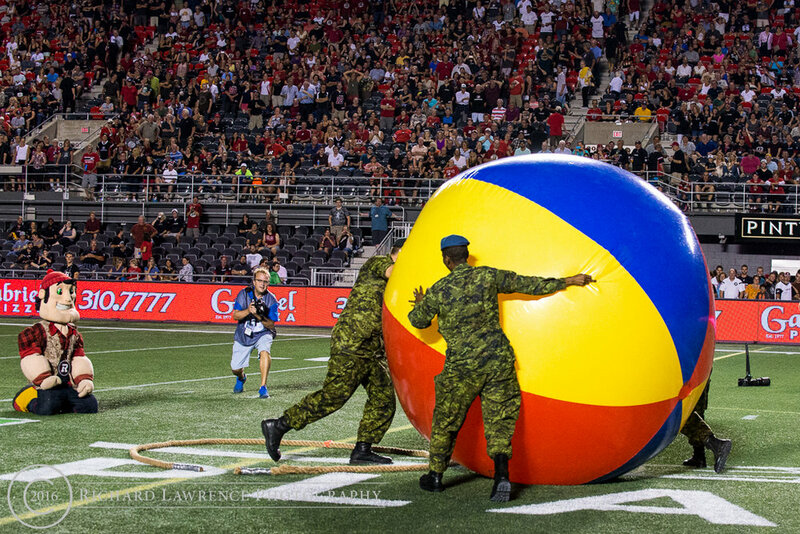 At half-time, the military from the North side stands competed against the military in the South side stands in a friendly, but competitive, game of beach ball battle. 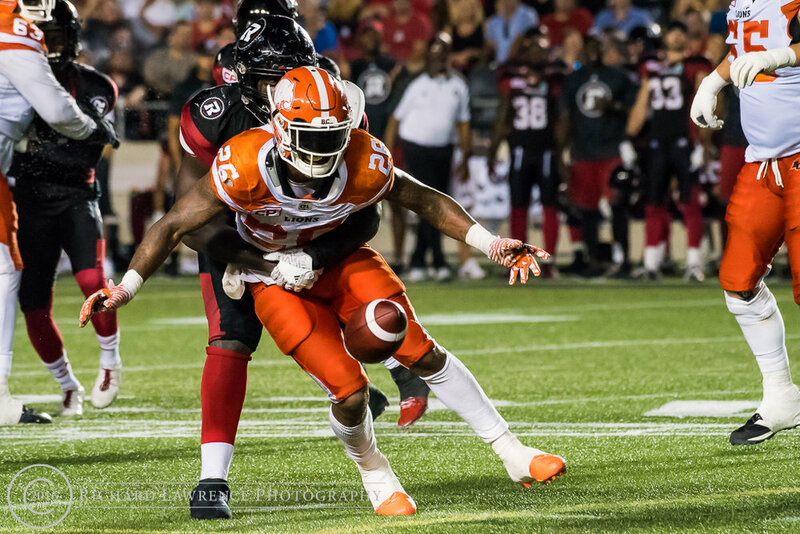 The game was a very close one but the final score was 29-23 for the Lions. 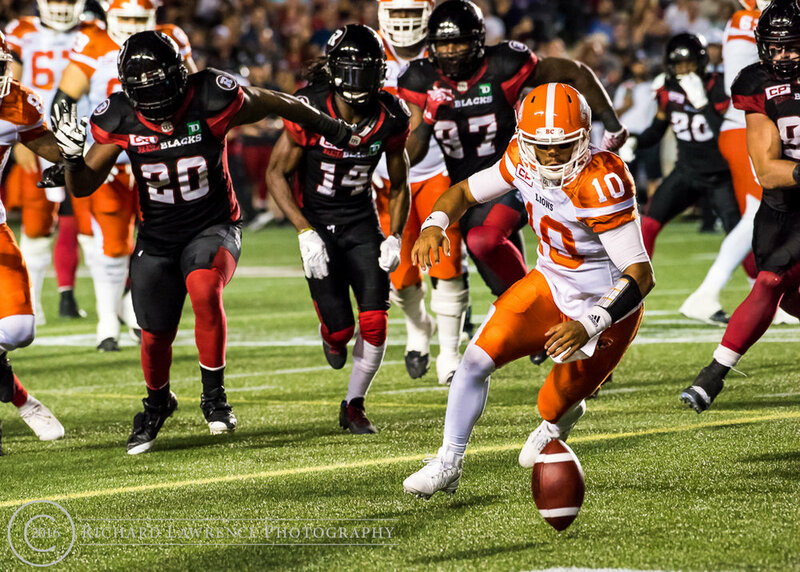 The photos above were captured by Richard Lawrence. 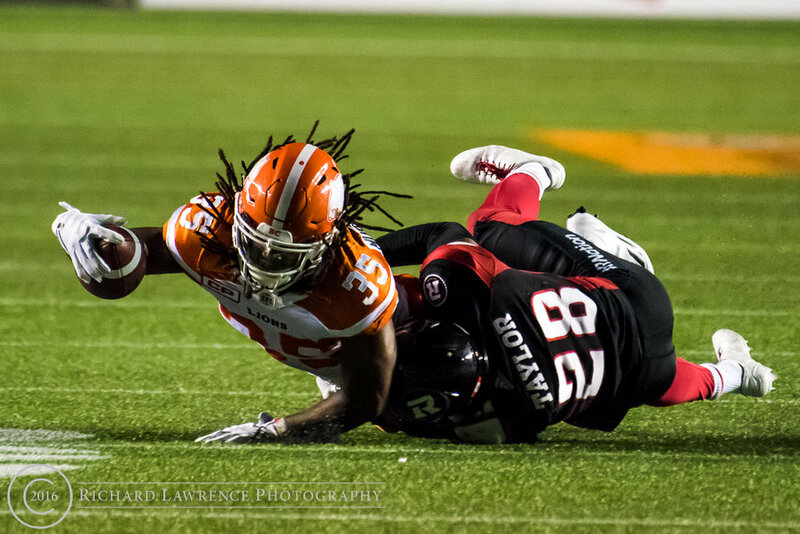 The rest of the gallery from last night's game can be viewed here.